Costa Cruises said it is seeing “significant positive booking trends in Europe” in recent weeks, so the line is shifting capacity to the United Arab Emirates and the Mediterranean for winter 2012-13. The company will position a second ship in the UAE. 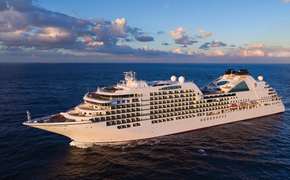 Starting Nov. 17, Costa Classica, originally scheduled to sail in the Mediterranean, will join Costa Atlantica, offering weeklong cruises from Dubai to ports in the Emirates and Oman. Additionally, capacity in the Mediterranean for winter 2012-13 will be increased by replacing Costa Classica (1,680 total guests) with Costa Magica (3,470 total guests). Starting Nov. 18, Costa Magica will offer 12-day cruises in the Eastern Mediterranean, calling at Greece, Israel and Turkey, and 11-day cruises to Portugal and Morocco in the Western Mediterranean. Costa Magica had been scheduled to deploy with four other Costa ships in South America. Even with the deployment realignment, Costa will offer the twin flagships Costa Favolosa and Costa Fascinosa, along with Costa Serena and Costa Fortuna, representing a capacity increase of 13 percent in South America. Guests booked on Costa Magica in South America will be accommodated on a similar itinerary on one of the other four Costa ships.